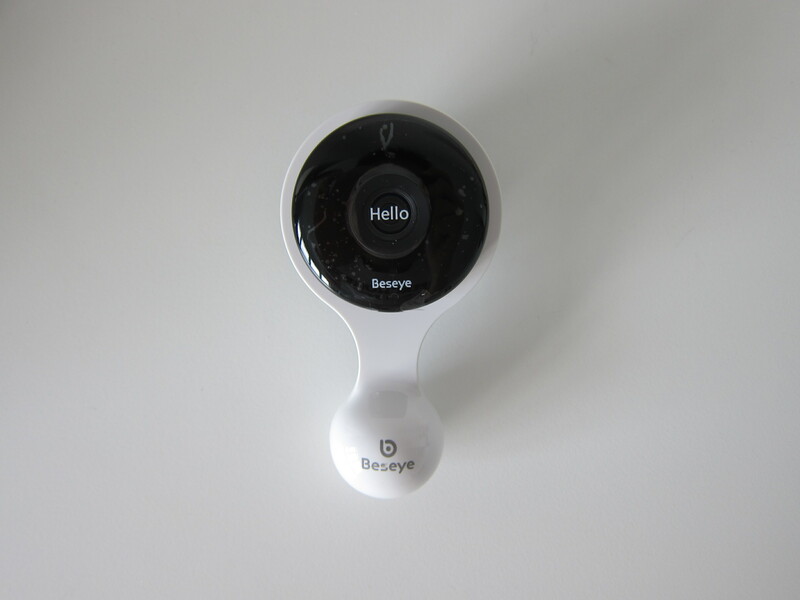 Beseye is a Taiwanese company that does home cameras and cloud services. 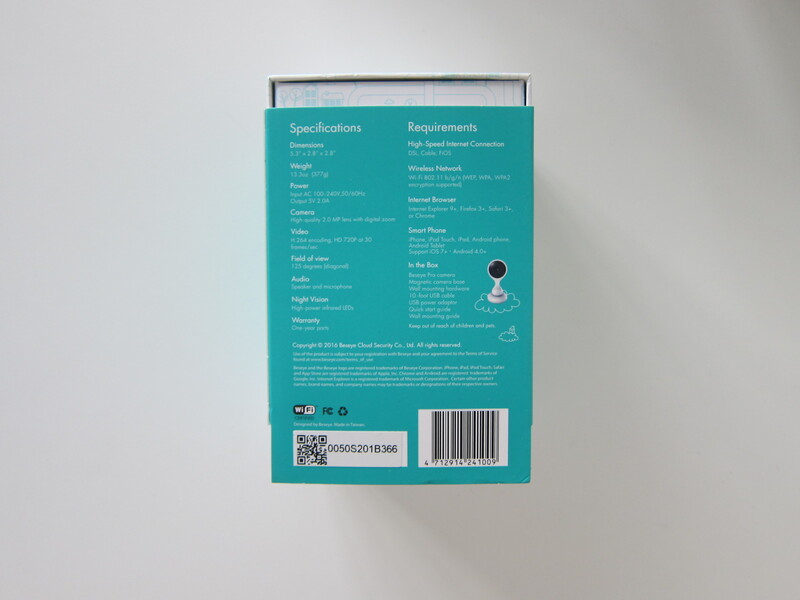 Its first product is Beseye Pro. 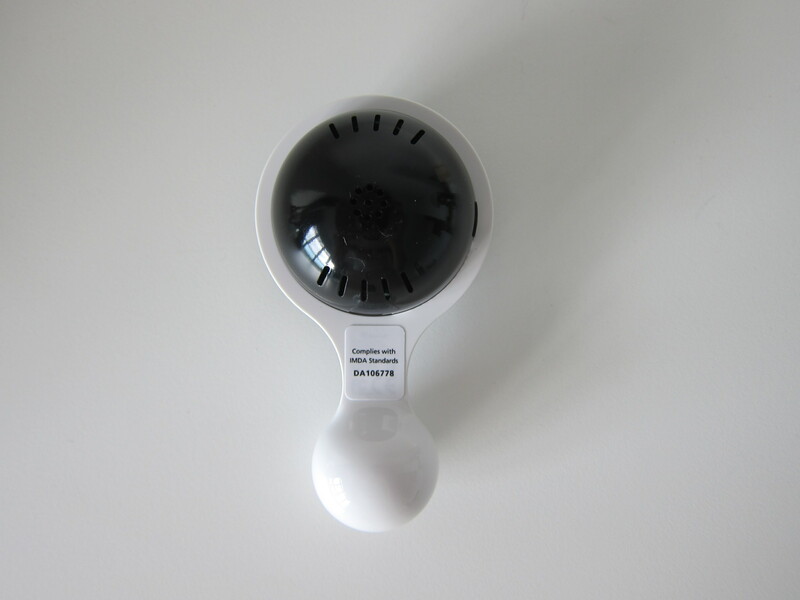 Beseye Pro is a wi-fi monitoring camera that has won the reddot award 2015 because of its smooth design and clever magnetic mounting. 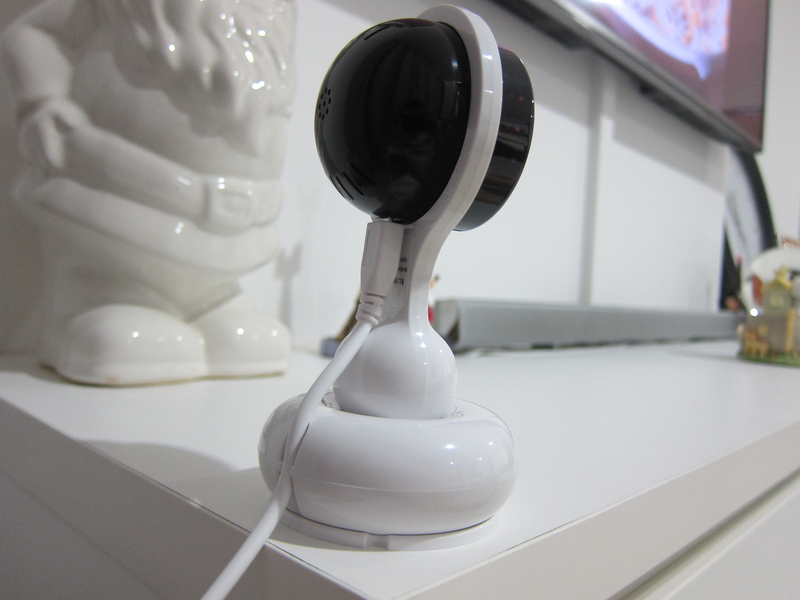 Beseye Pro is retailing for S$299 in Singapore and can get it at iStudio, Lazada and AXTRO Smart. Night Vision: Yes. Visbility of 8 to 10m. I am surprised they included such a good USB power adaptor in the package. 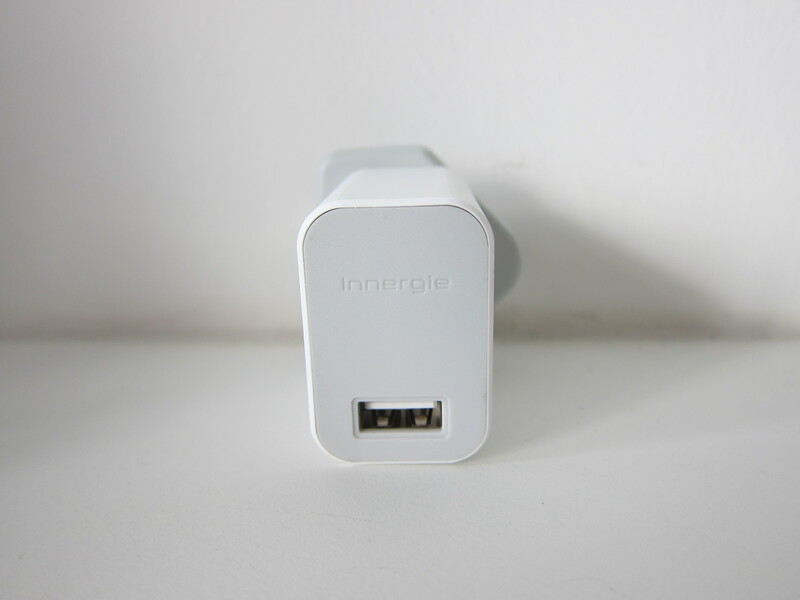 The USB power adaptor is from Innergie, which is also a Taiwanese company. Innergie products are not that cheap in Singapore. 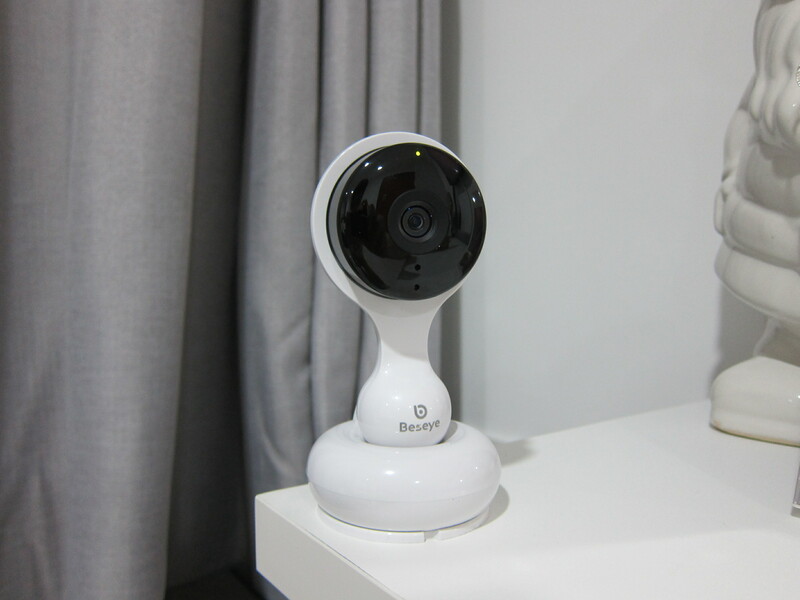 The first impression I have about Beseye Pro is that it looks similar to Nest Cam. Even the features are pretty similar. 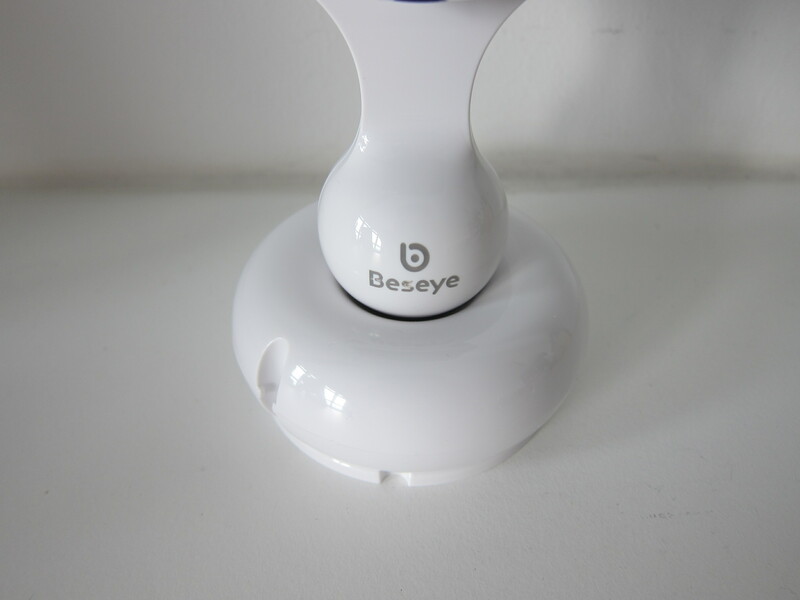 The camera base of the Beseye Pro is magnetic, and that allows the camera to be rotated freely. 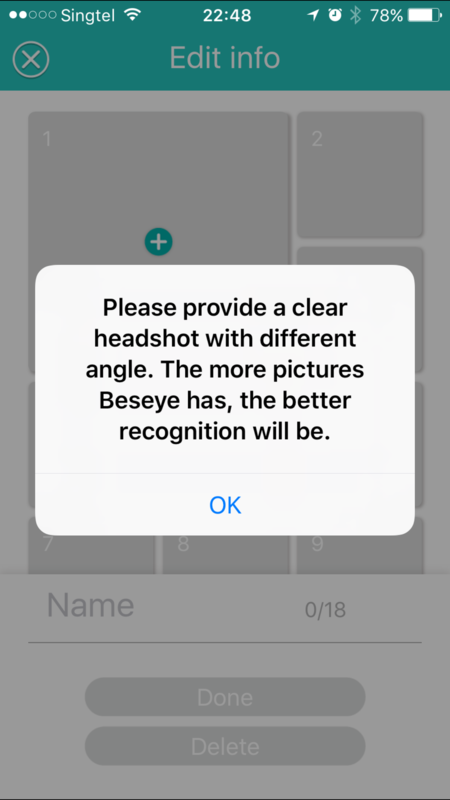 To get started on the setup, you need to download Beseye Pro iOS app on App Store or Android app on Google Play. When I first launched the iOS app, I was disappointed that the app is not optimized for iPhone 7/7 Plus. 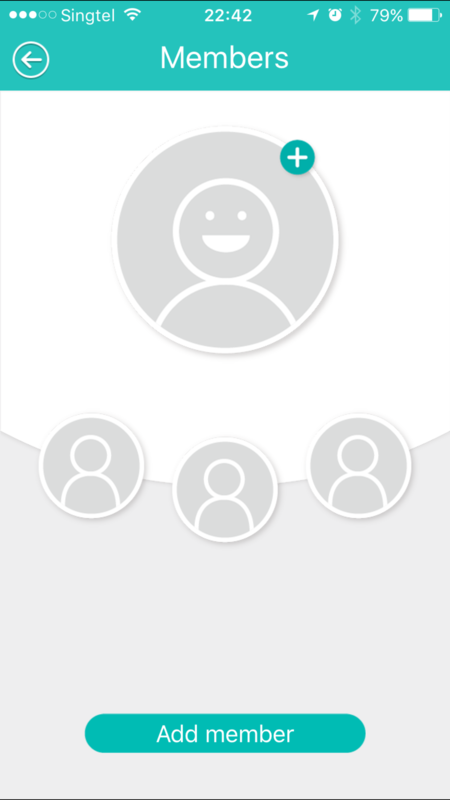 Every element of the app looks so big. I believe there is Bluetooth built into Beseye Pro despite it not being in the specifications. 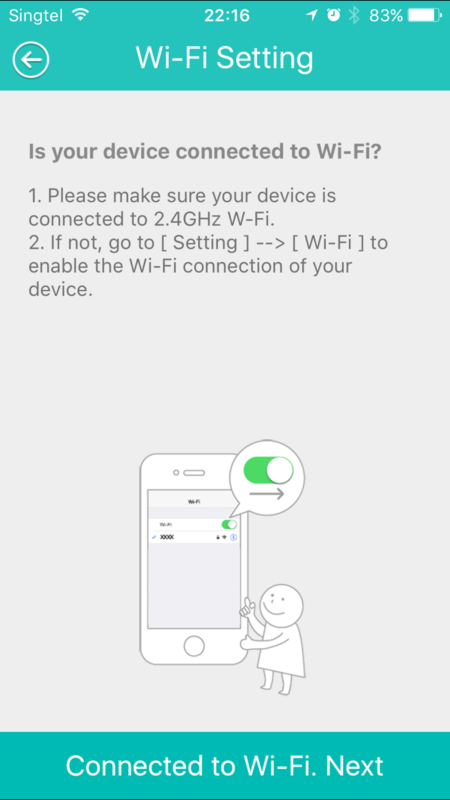 That is because I do not need to connect to any hotspot created by the camera which I usually need for other devices. 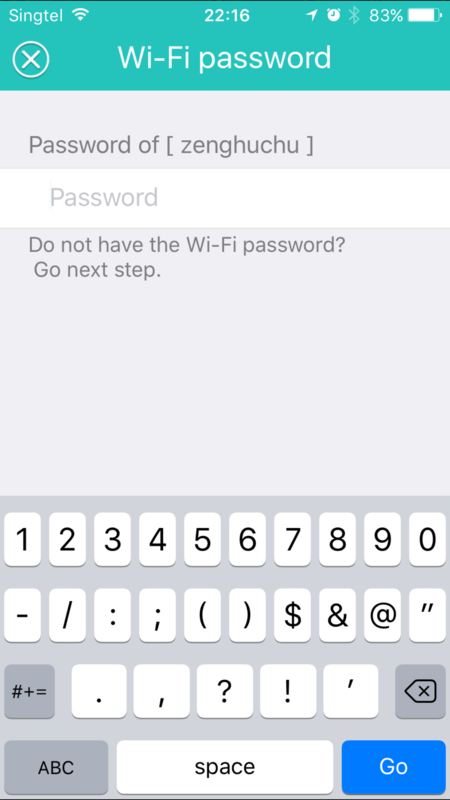 Instead, it can detect which wi-fi network my mobile phone is on and ask for the password so that the camera can connect directly. 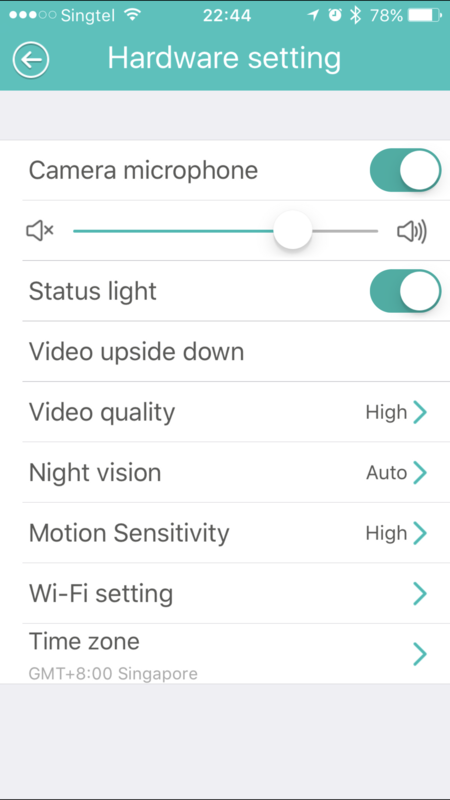 Beseye Pro has a unique way of setting up the camera which is the use of sound emitted from your mobile phone to pair with the camera. 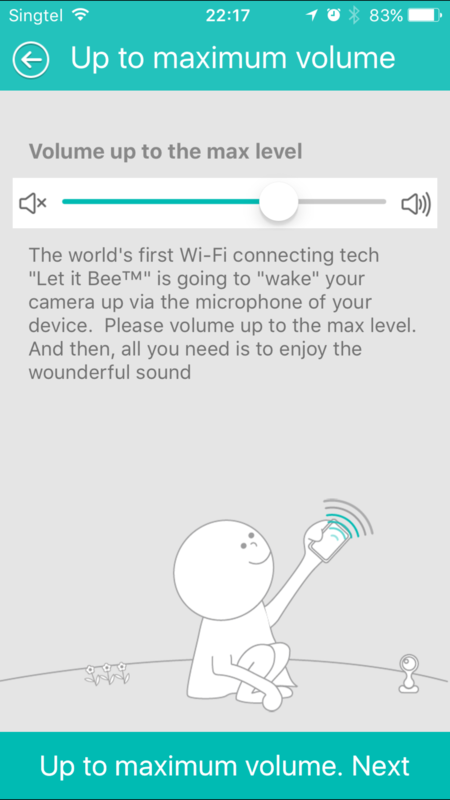 Beseye calls this technology “Let it Bee”. Because the camera picks up the sound, the setup has to be done in a quiet environment. I tried setting it up with my television switched on, and it failed. I have to mute my television. Once the setup is done, you can also view your Beseye Pro on the web by going to www.beseye.com. 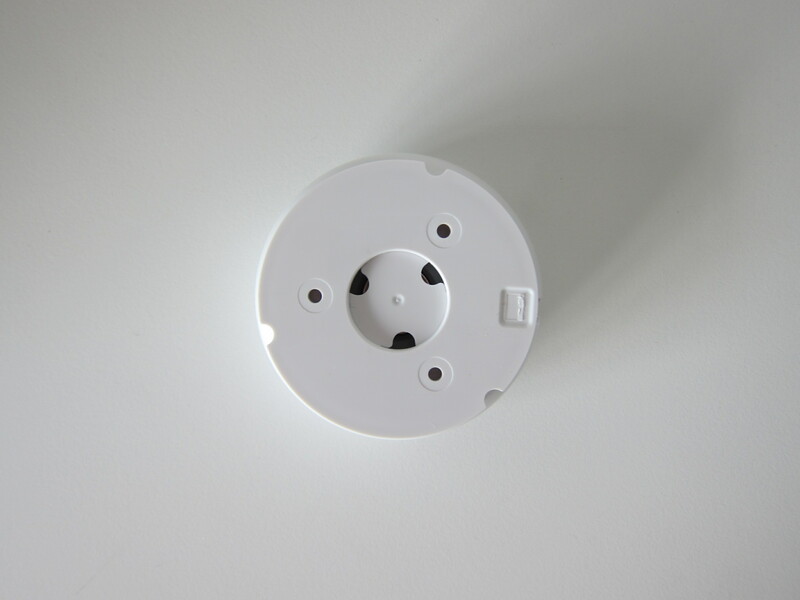 The most important thing to note is that Beseye Pro cloud recording is free whereas for Nest Cam you need to pay US$100/year to subscribe for Nest Aware which gives you 10-day video history. After setting up Beseye Pro, I was prompted twice to do a firmware update. I was wondering why it can’t go to the latest firmware in just one update. 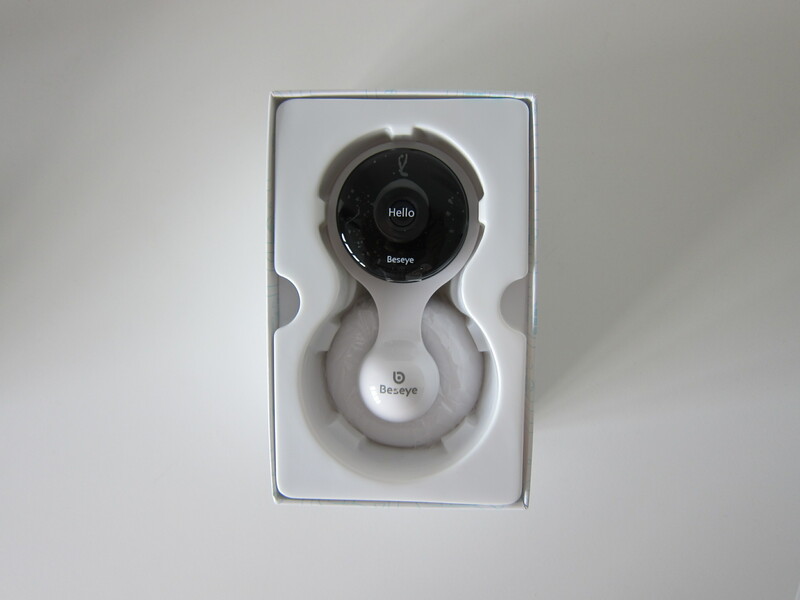 Nest Cam also has features such as human detection, motion detection, and trigger zones. 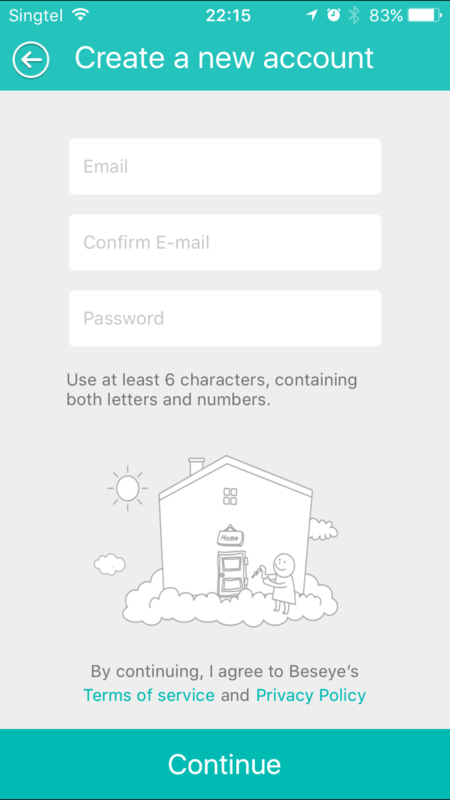 However, all these are only available for Nest Aware users. For Beseye Pro, these features are all free. 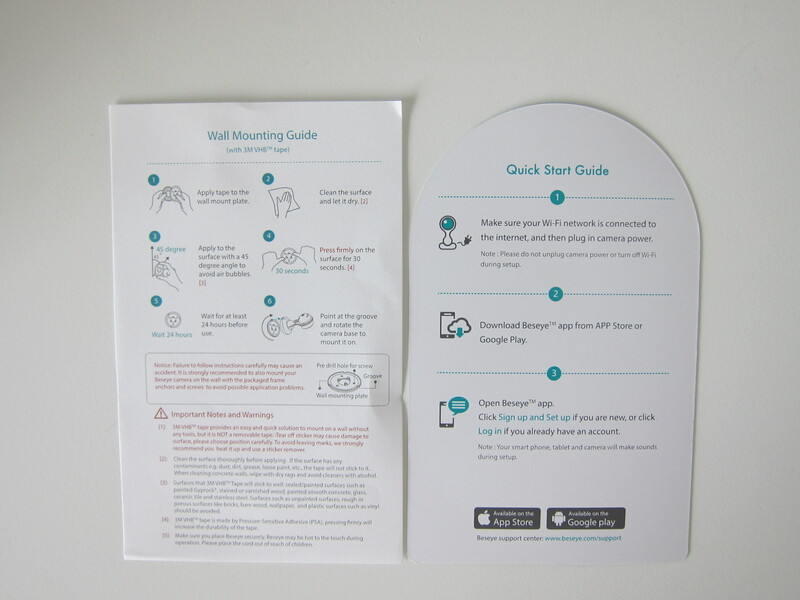 Both Nest Cam and Beseye Pro have built-in microphone and speaker. 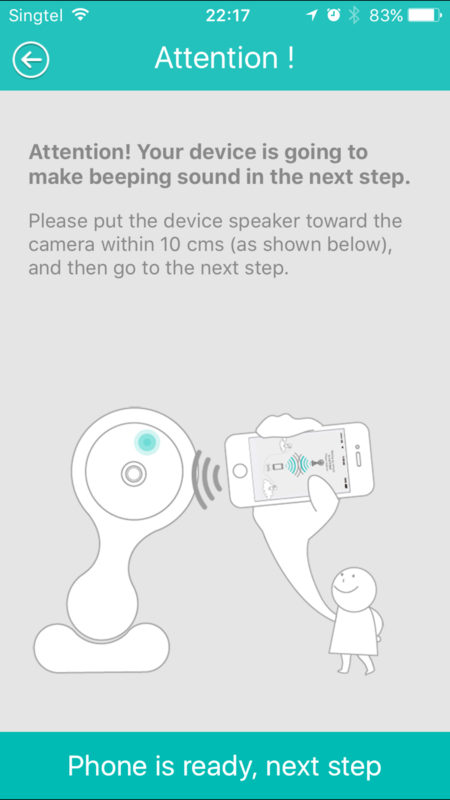 That allows you to speak through the camera using the app. Beseye Pro supports live viewing and uses a timeline view to display events that have been picked up by the camera. The live viewing is pretty smooth, but unfortunately, the experience of speaking through the camera is not a good one due to lag issues. 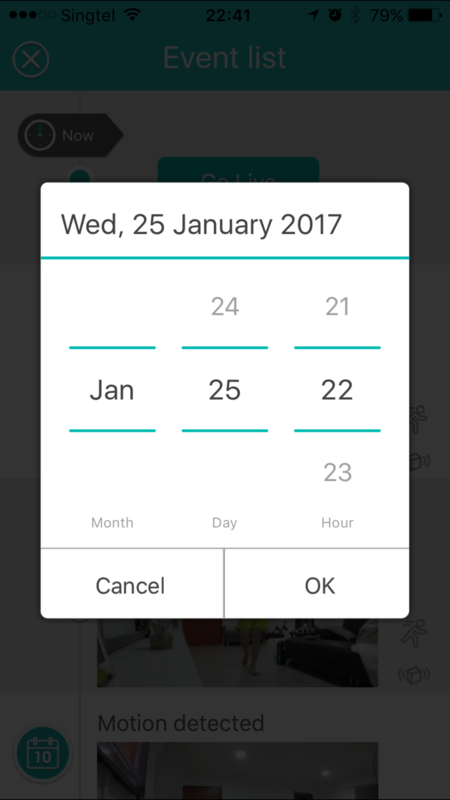 Beseye Pro has customized power schedule which means you can set a pre-defined schedule as to when and what time the camera will be switched off. 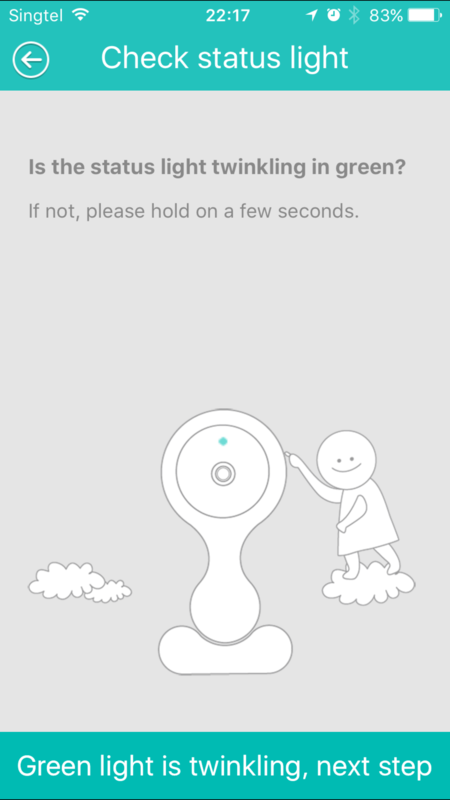 Nest Cam has this feature as well. 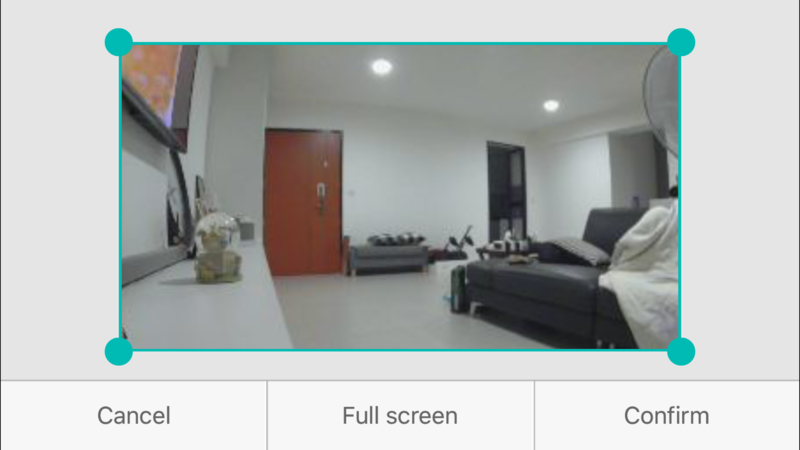 Since Beseye Pro is designed to be an indoor security camera, the lack of “Home Mode” and “Away Mode” is kinda weird. 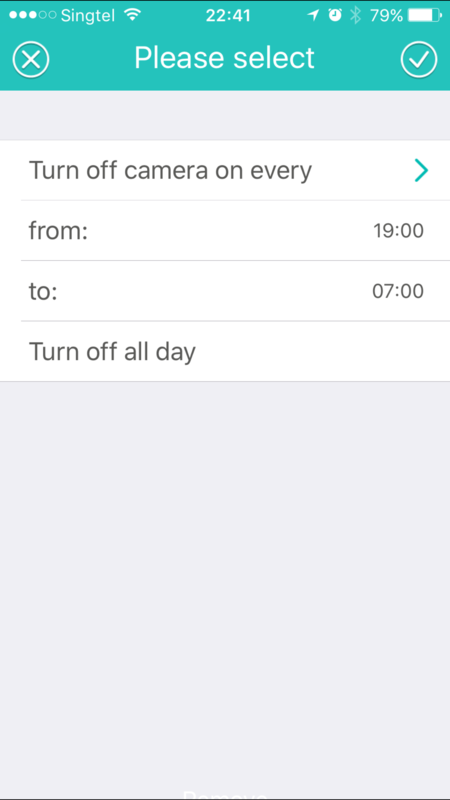 With the lack of “Home” and “Away” mode, you have to manually turn off the camera when you return home within the recording schedule. 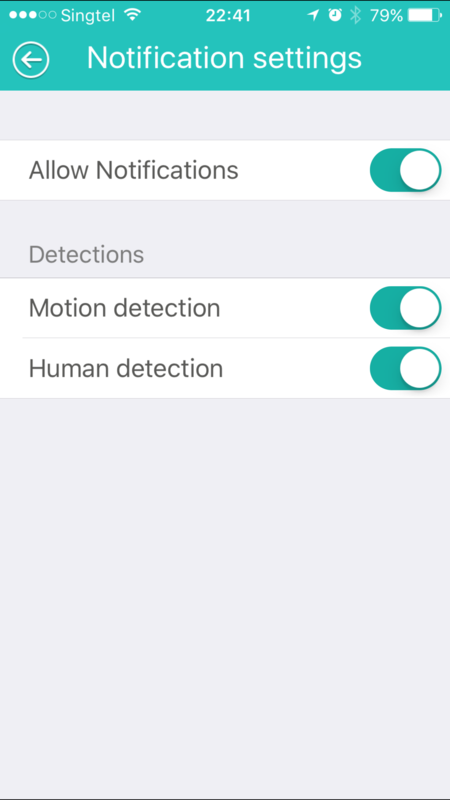 If not, you will get flooded with “Motion Detected” and “Human Detected” notifications. 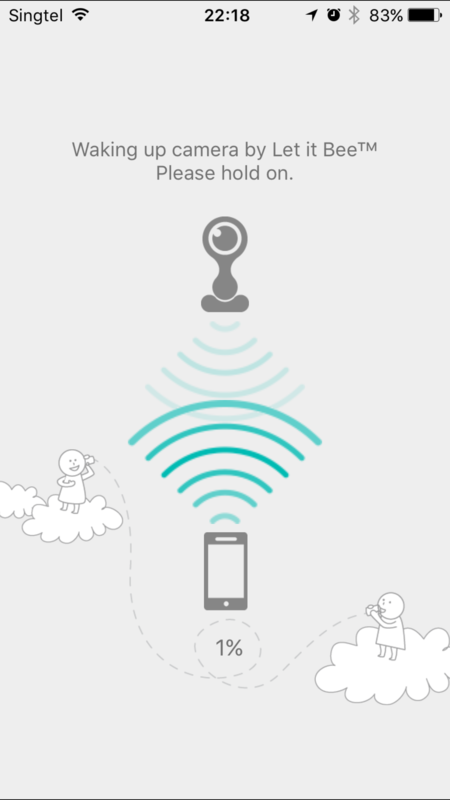 Nest Cam uses your mobile phone’s location to detect whether you are at “Home” or “Away”. When you are at home, you can set the camera to be switched off and likewise, if you are away, you can set it to be switched on. I am hoping this feature will eventually be available on Beseye Pro. 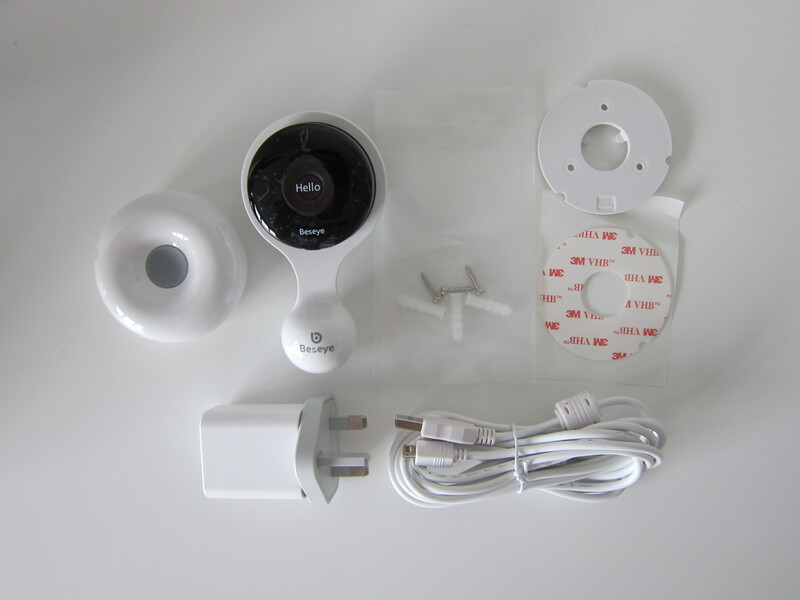 Beseye Pro lacks third party integrations as compared to Nest Cam. Only IFTTT is supported for now. Hopefully, more integrations will come soon. 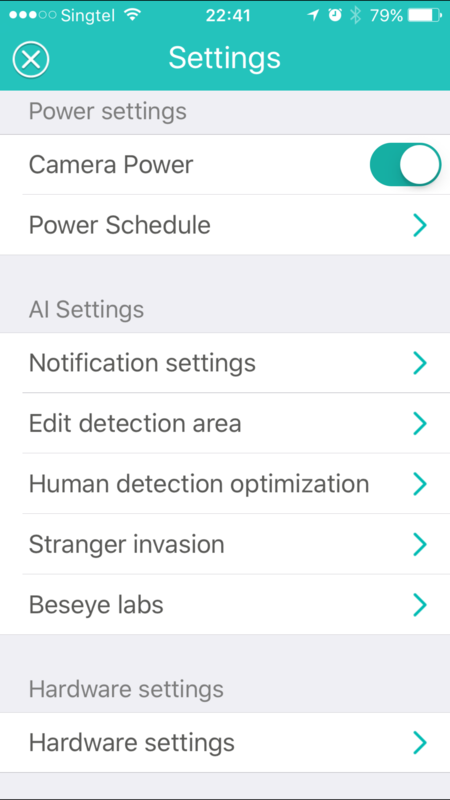 You can use IFTTT as a workaround to switch on Beseye Pro when you arrive home and switch off when you leave home. The detection area has to be a square or a rectangle. 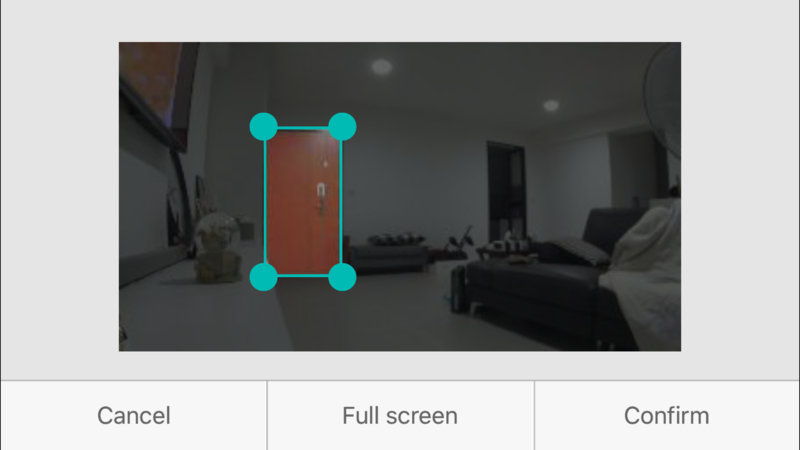 It doesn’t allow odd shapes like Nest Cam. 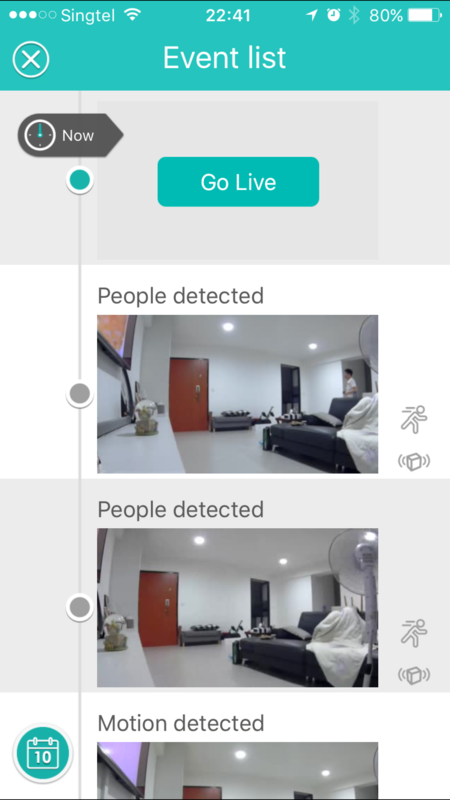 A feature which is unique to Beseye Pro and missing in Nest Cam is machine learning. 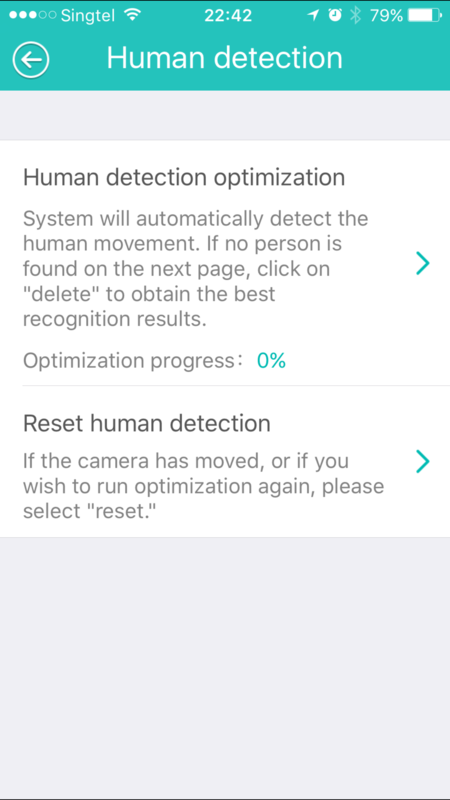 The first machine learning feature is called “Human Detection Optimization”. It will show you photos that it has captured at your place, and if it can’t determine whether there is a human in the photo, it will prompt you to indicate. 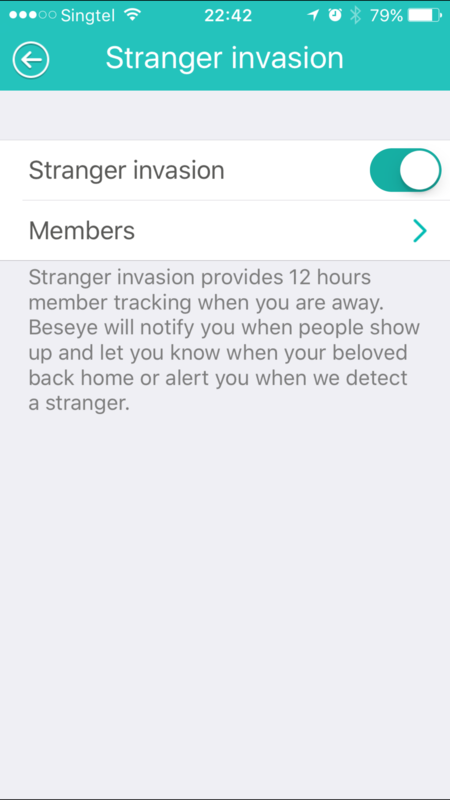 The second machine learning feature is called “Stranger Invasion”, which is a weird name. This feature works by having you feed Beseye Pro with photos of yourself and your family members for it to learn and identify. 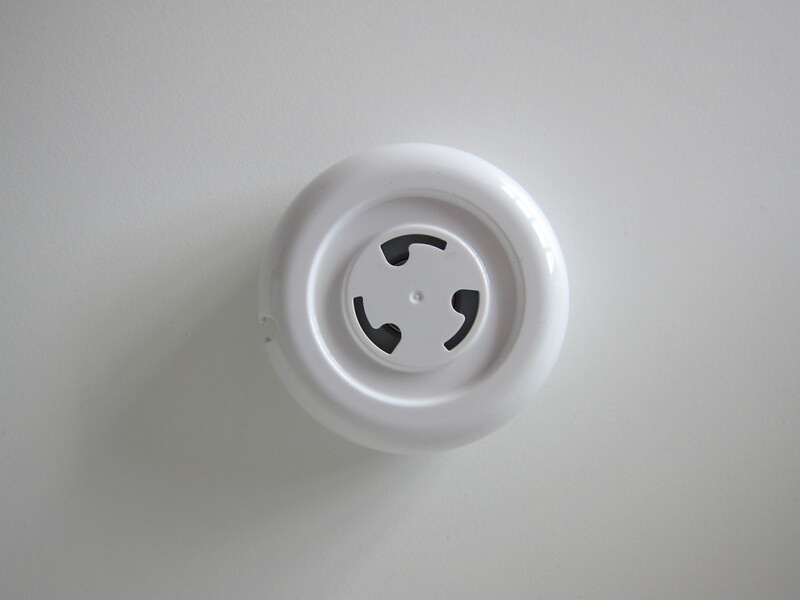 This allows it to notify you when your family member is back home or when it detects a stranger. 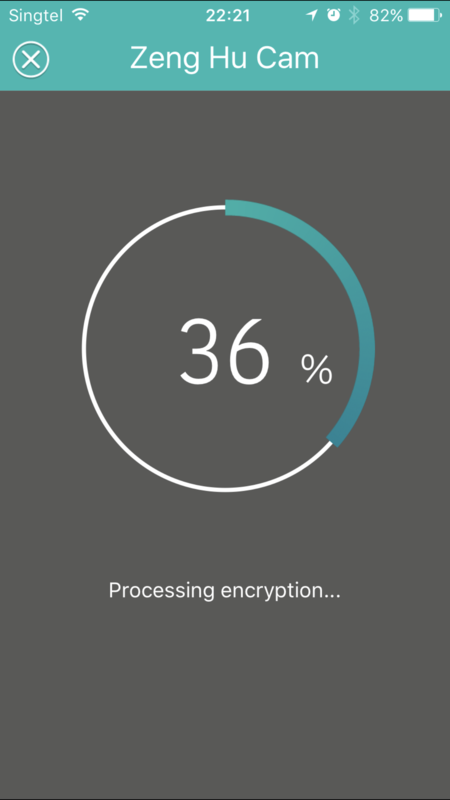 For some reasons, you can’t choose existing photos from your photo library on your mobile phone. 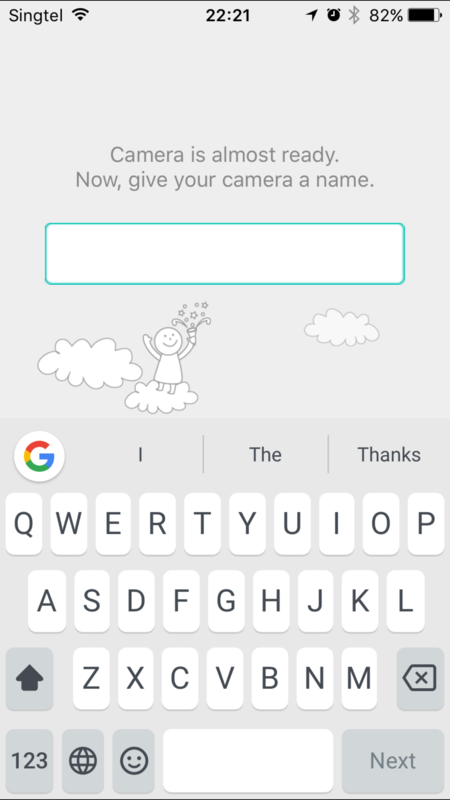 You have to take a new photo using the app. 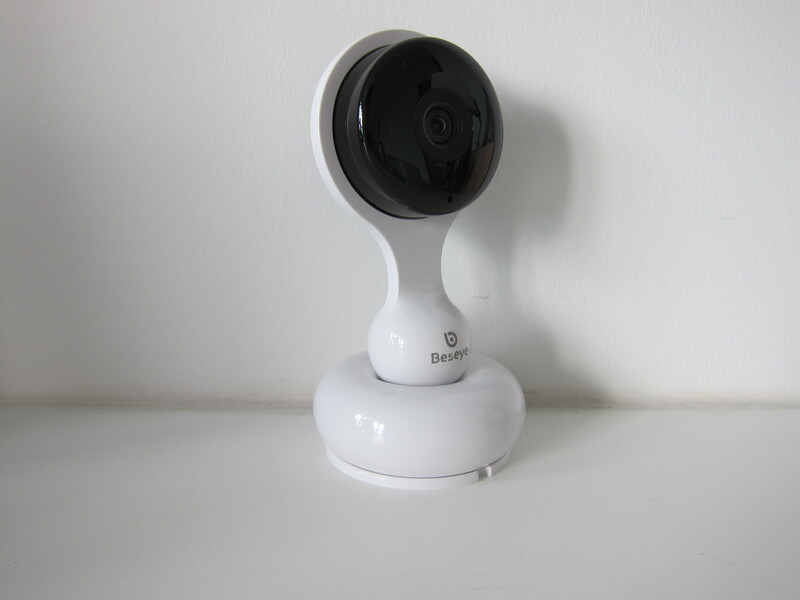 I would say that the Beseye Pro is an excellent clone of the Nest Cam because almost every feature of the Nest Cam can be found in Beseye Pro. 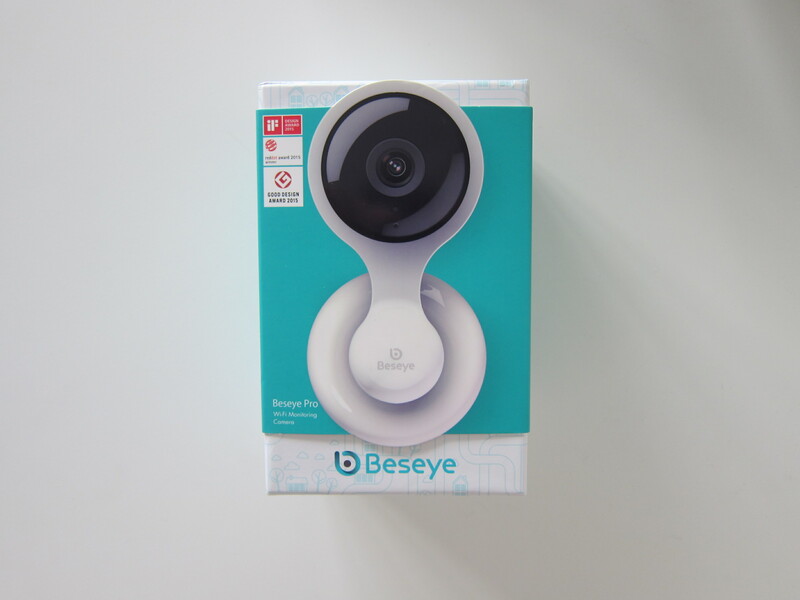 The price of S$299 for the Beseye Pro is reasonable as well. Considering it has unlimited cloud storage, you do not need to worry about your memory card failing or footage being overwritten when it is full. The machine learning features of the app are still in early stages, so don’t expect it to be perfect. 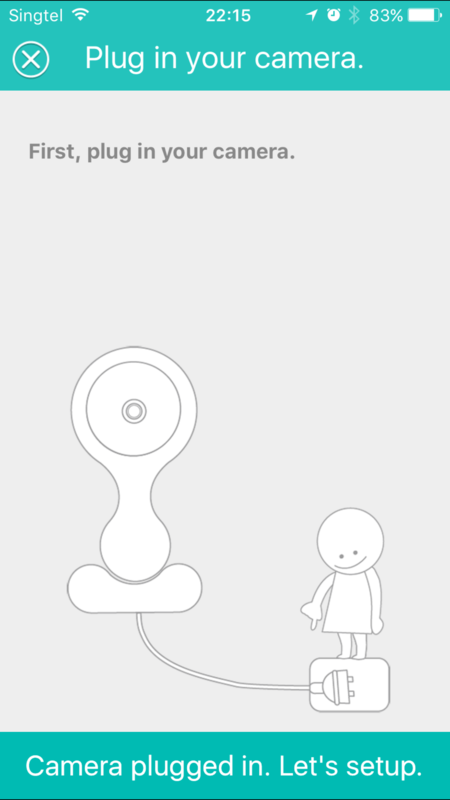 Live viewing feature is smooth, but speaking through the camera is not. The iOS app needs work because it is still not optimized for iPhone 7/7 Plus. 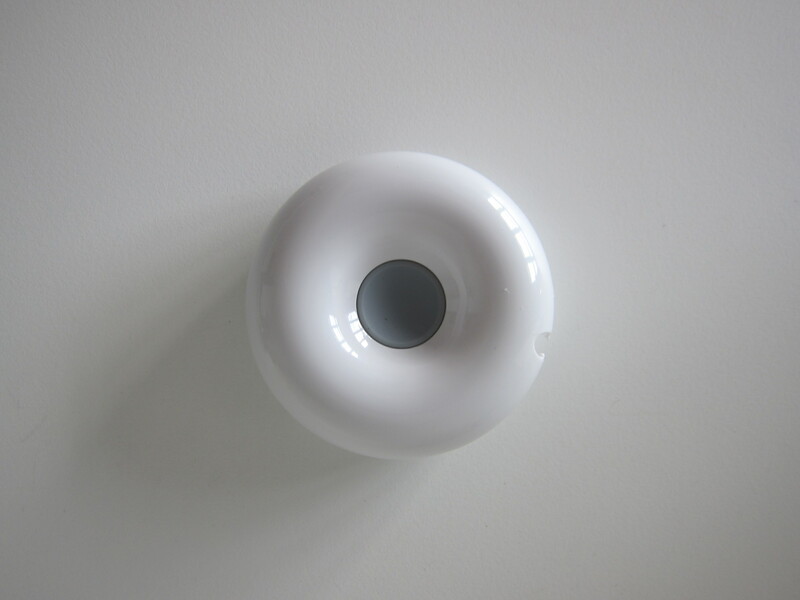 If you need an alternative for Nest Cam because it is not available outside of US and don’t wish to pay US$100/year for Nest Aware, the Beseye Pro is definitely for you. This page is generated on 20th April 2019, 10:55:30 (UTC) in 0.433s with 24 queries using 4.0 MiB of memory.